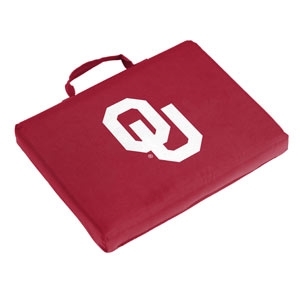 Smart University of Oklahoma Sooner fans in the stands use the bleacher cushion to keep comfortable while watching the game. Comes in a vibrant solid color with a large logo on one side and a carry handle for mobility. The durable fabric and stitching gives it a long lifespan. Fits most stadium restriction guidelines.